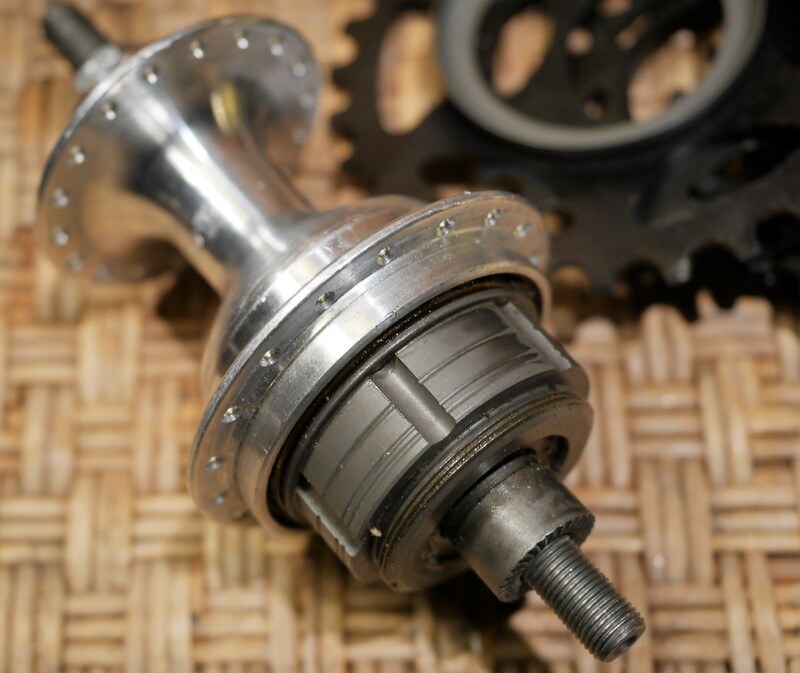 My recent overhaul of a Shimano Octalink bottom bracket made me wonder about splined cranksets and whether they had a history that preceded Shimano’s 1996 offering. 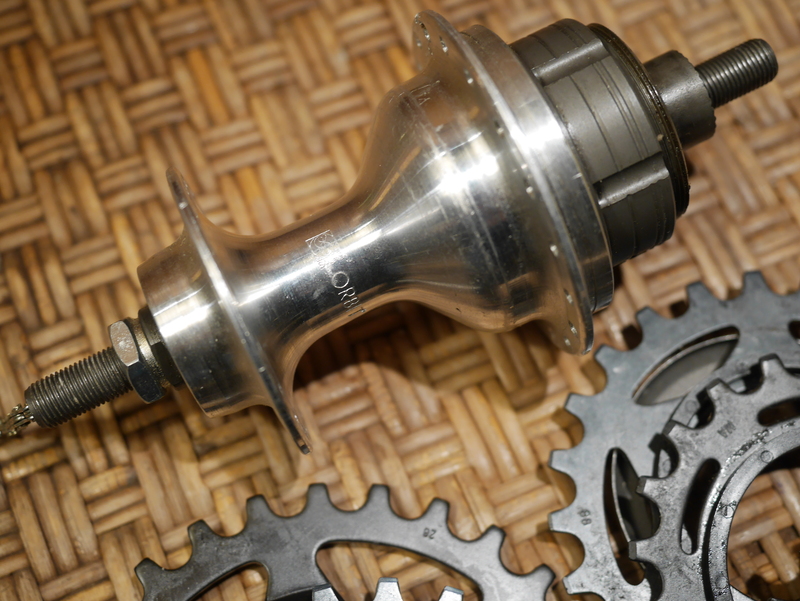 I pulled out my copies of The Data Book, Rebour (by Rob Van der Plas), as well as the small collection of Le Cycle and Le Cyclist magazine in my library to review spindle and crankset design through the decades. 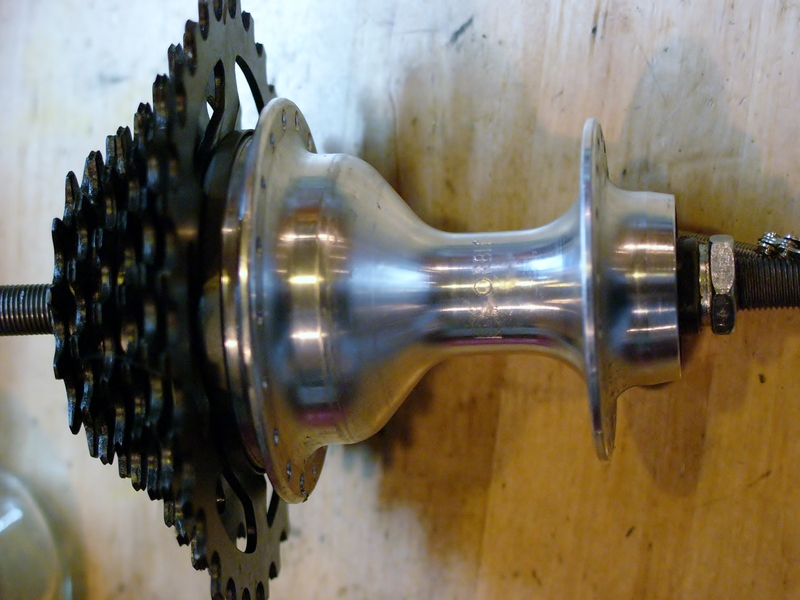 I also checked Bicycle Design to see if it contained any chapters on crankset and bottom bracket design, which it did not. 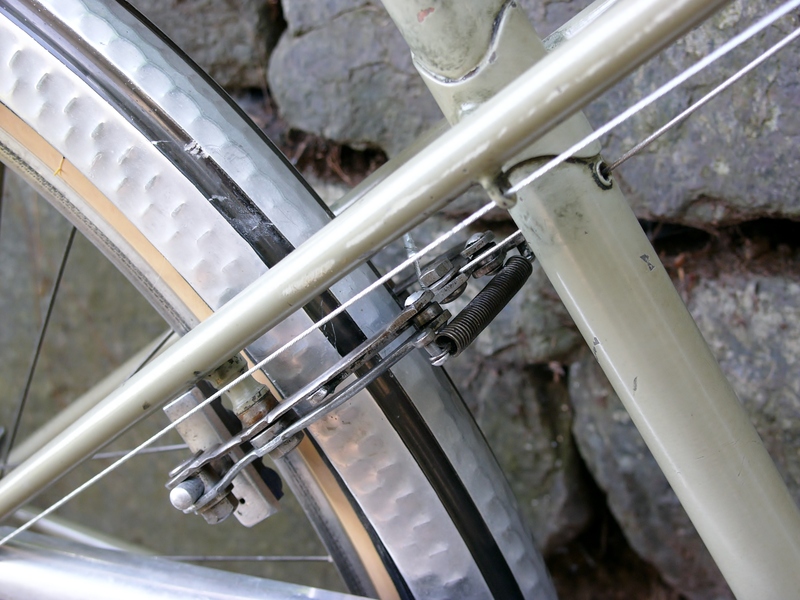 As it turned out, the best resource for my research was VeloBase.com. 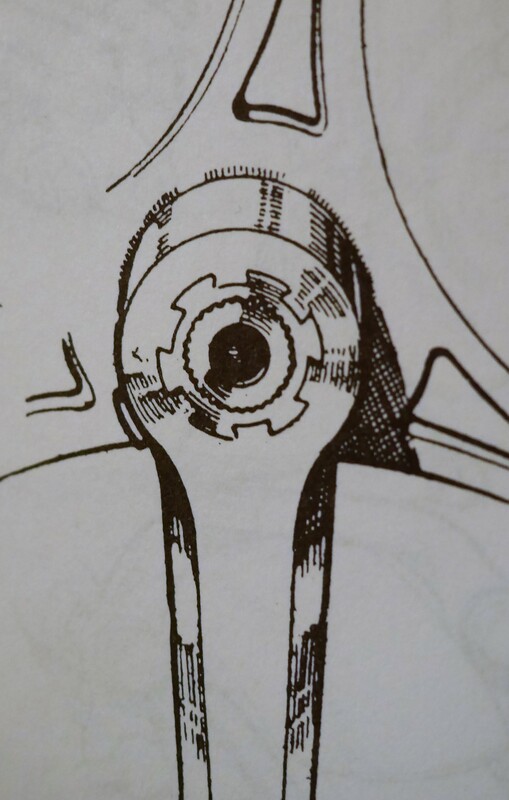 Rebour drawing of 1950 Gnutti splined crankset, Le Cycle Magazine, 9 Oct 1950. 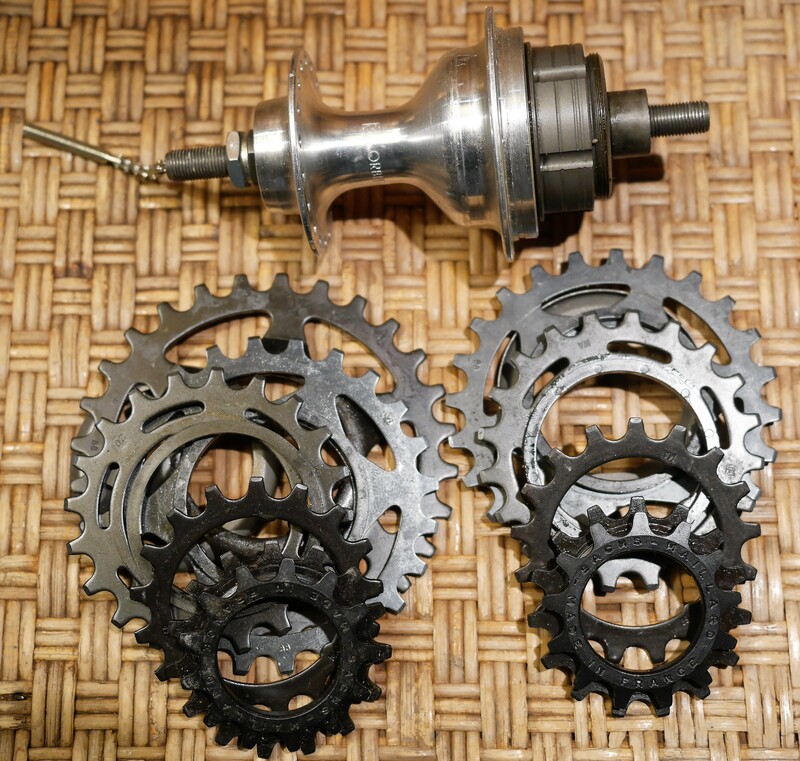 After learning from the Rebour book and The Data Book that Gnutti had introduced a splined spindle and crankarm by at least 1948 or 1949, I searched VeloBase and found several examples of this design. 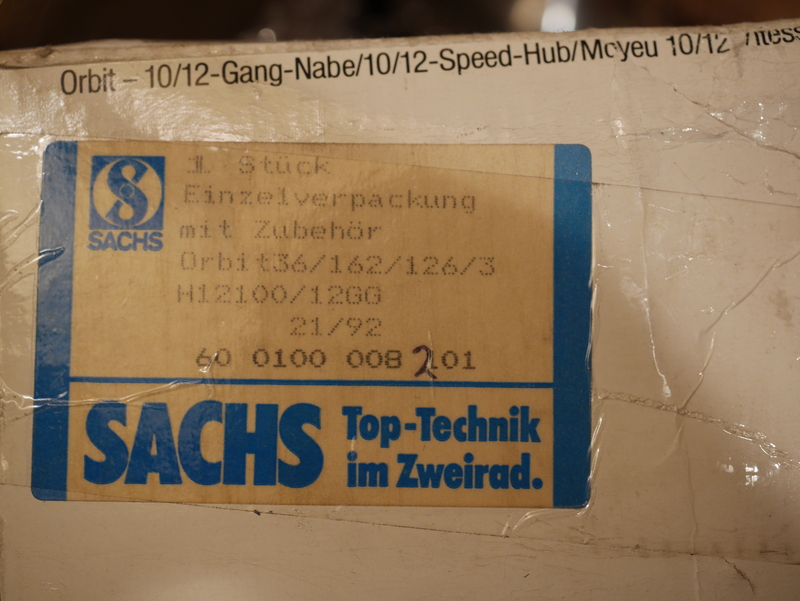 From the Rebour drawing above you can see that the splined portion was nice and long, and was also spliced. 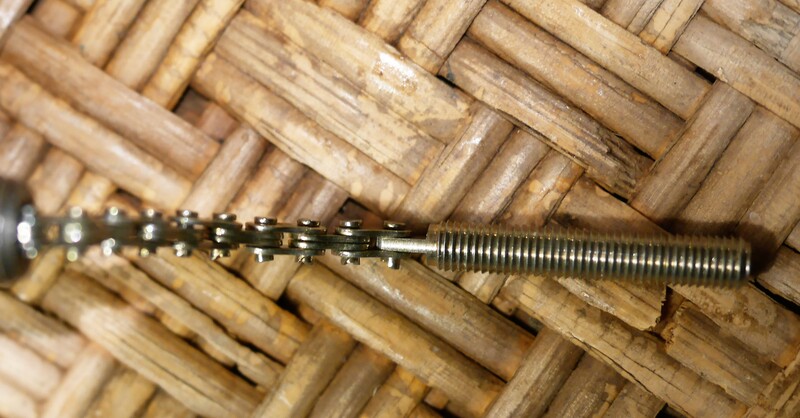 I have not observed these splices on later photos of Gnutti splined spindles dating from the early 1950’s. 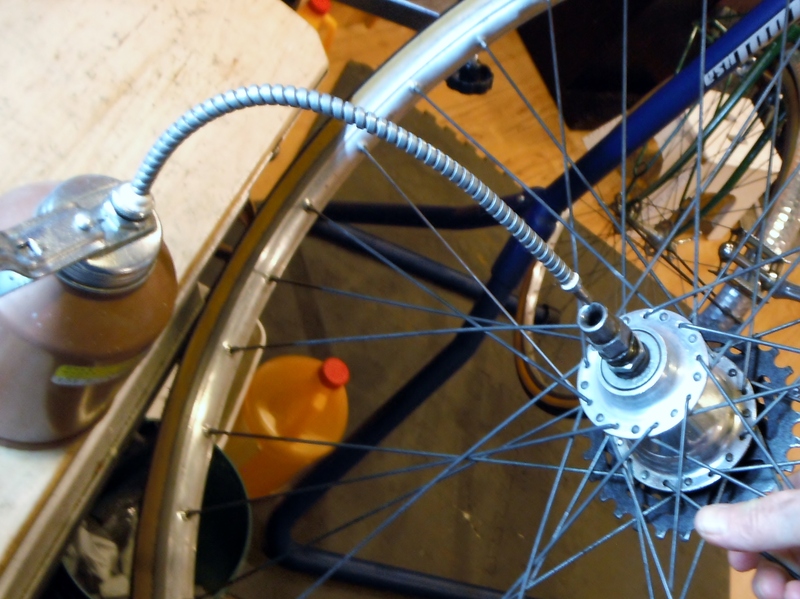 There are a boatload of splines on this spindle, and the splined area is very long – so it does seem like a robust product, especially when compared to the Shimano Octalink V1 spindle, with its very short splines. 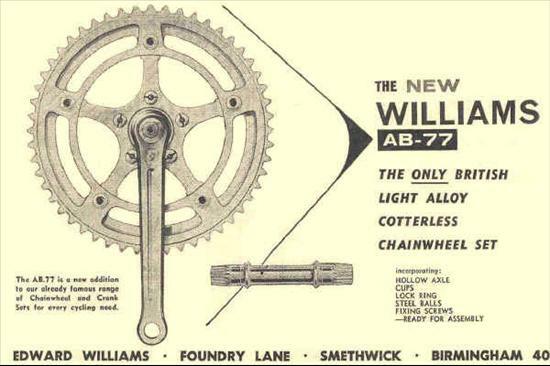 Another component maker to offer a splined spindle and crankarm was Williams, who were more well known for their low end steel cottered cranksets rather than their higher end alloy offerings. 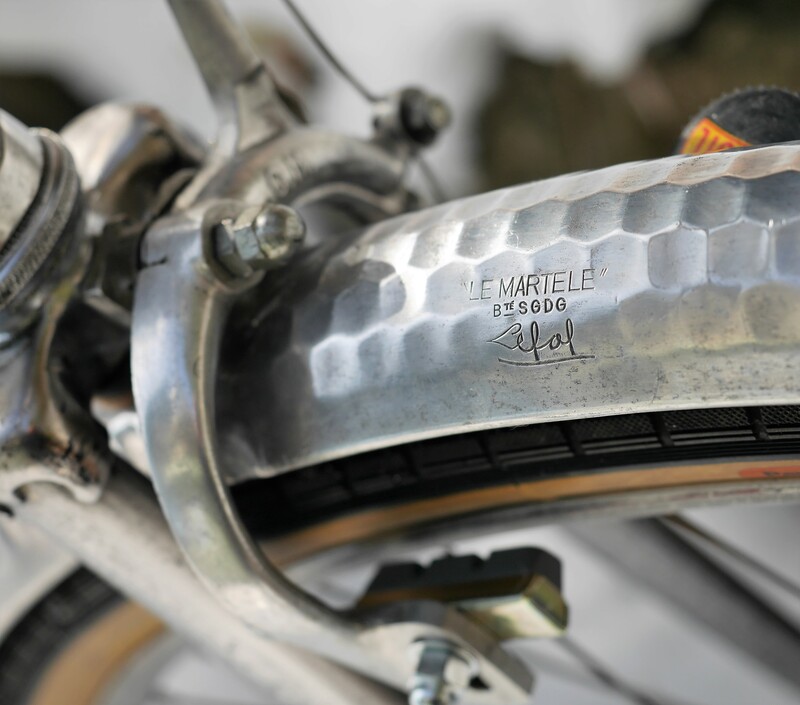 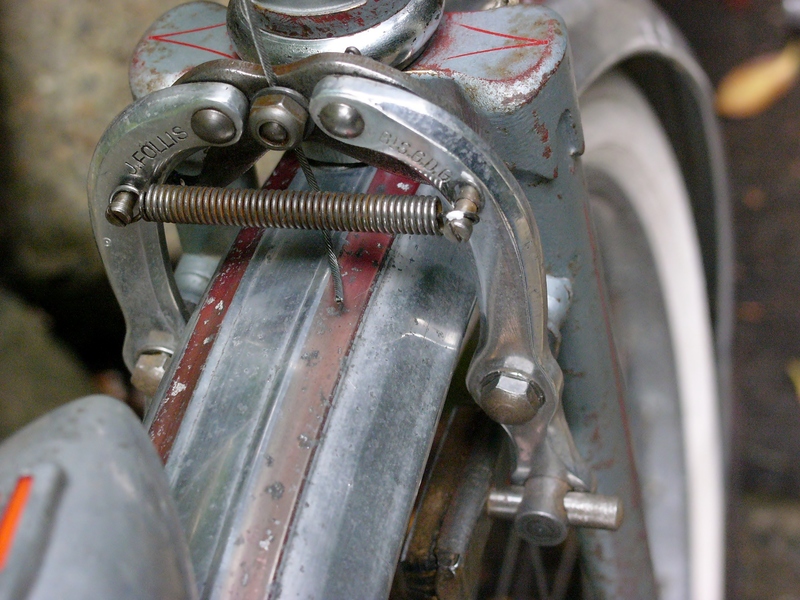 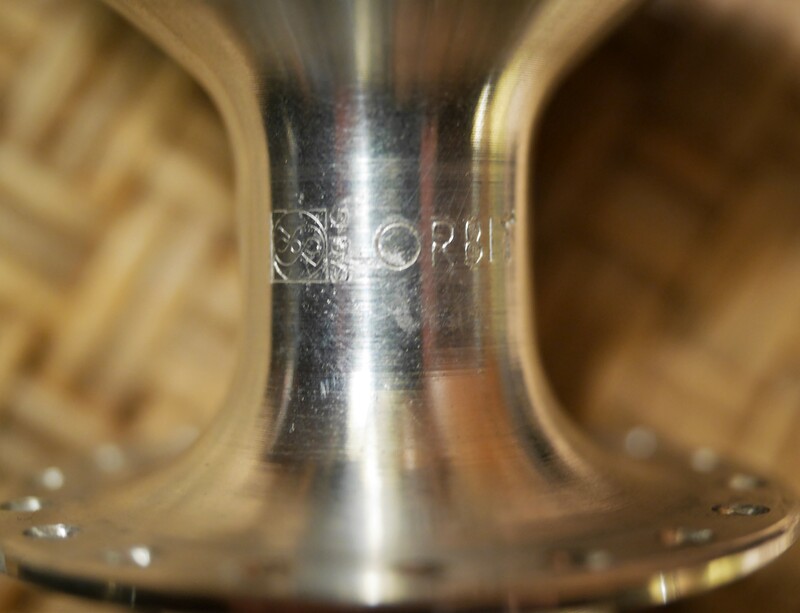 Their AB 77 crank and spindle was introduced in the early 1960’s or late 1950’s and had fewer splines than the Gnutti competitor, but was apparently easier to install and remove. 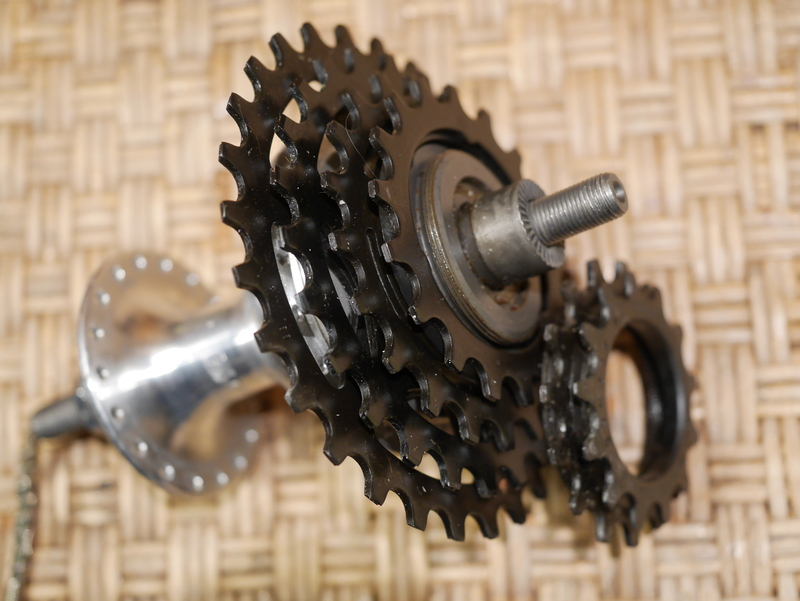 The blog midlifecycling.blogspot.com has a nice discussion about these cranks and their strengths and shortcomings. 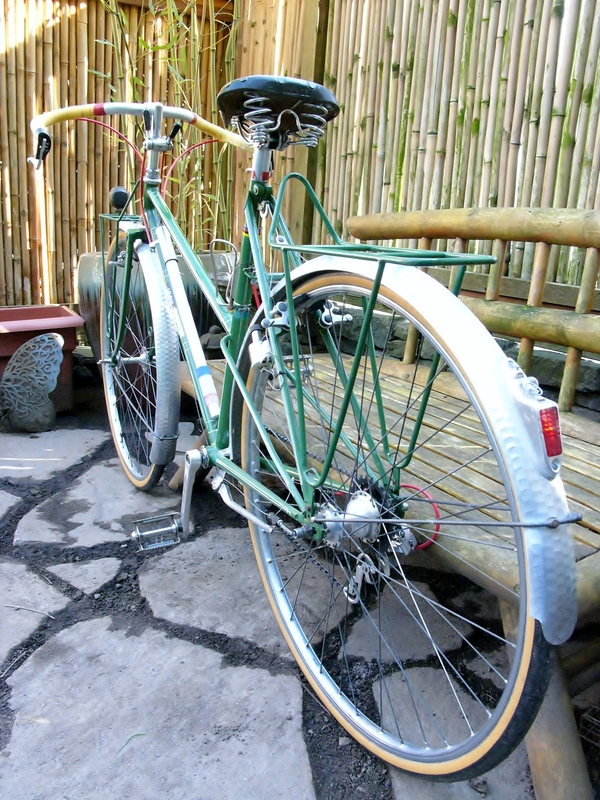 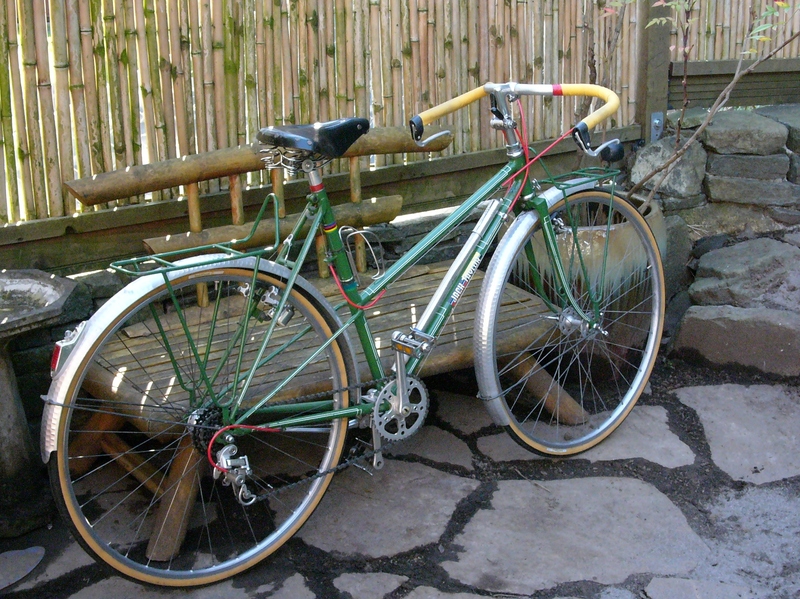 To add to the mystique surrounding splined cranksets, I discovered this intriguing 1967 Jack Taylor custom bicycle built for Jerry Collier, which was created by the Taylor brothers to feature components from earlier decades. 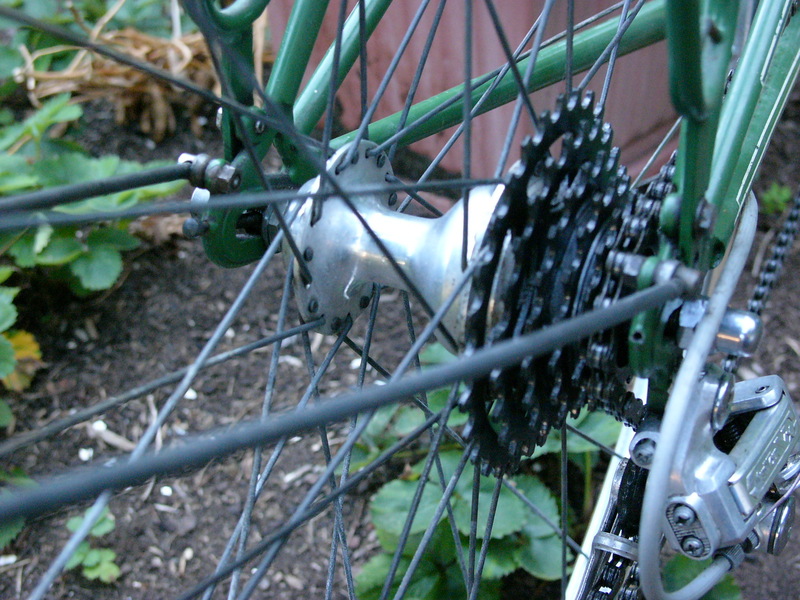 The bike has a 1930’s Osgear derailleur, the earliest known cassette hub by Pallandini, as well as a splined Gnutti crank spindle, shown above. 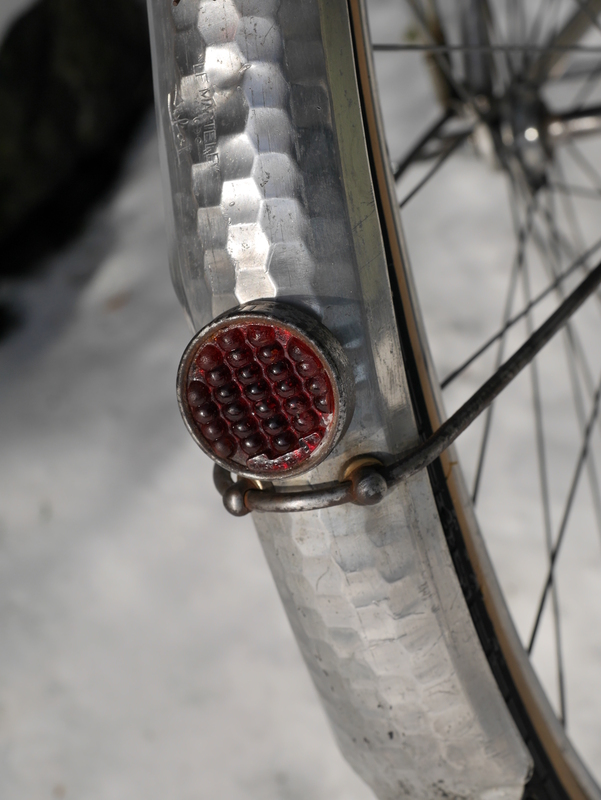 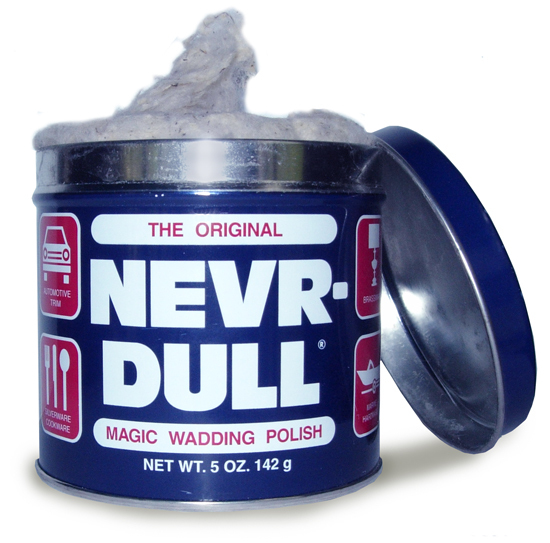 As is true of most modern cycling “innovations”, what is new was actually invented decades ago. 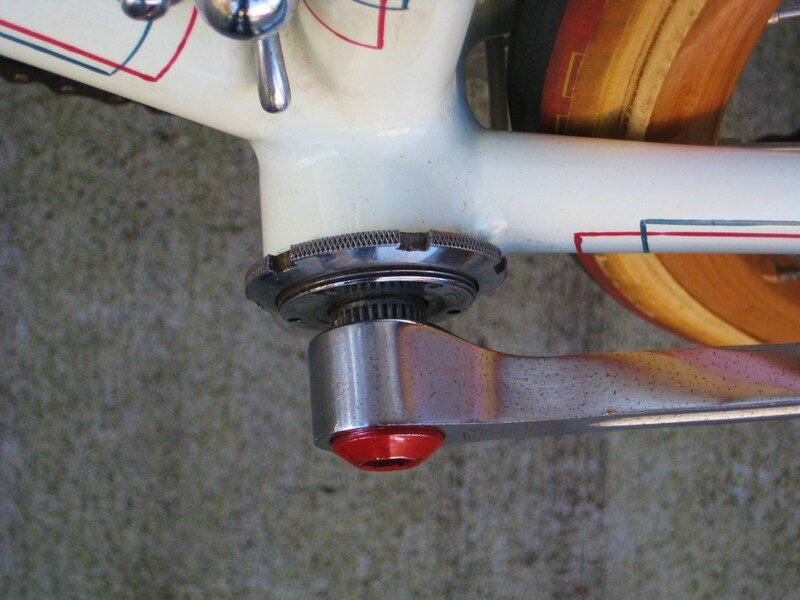 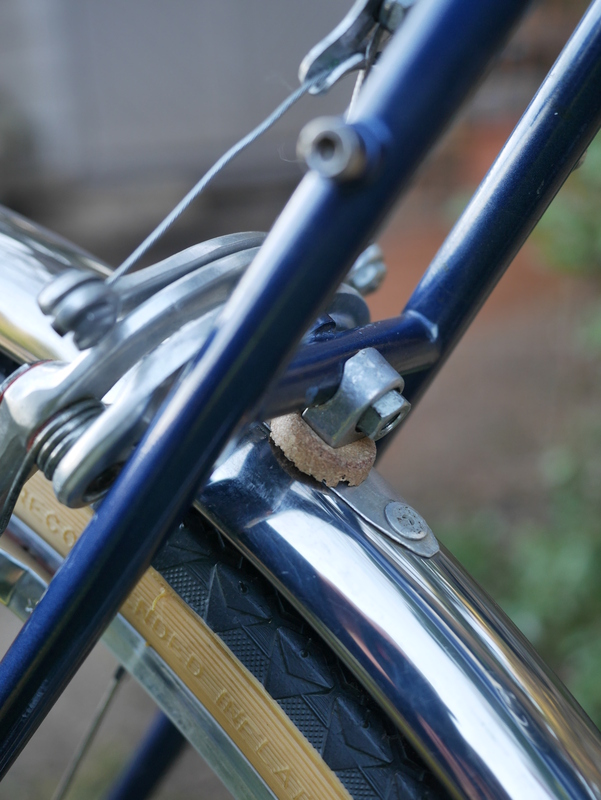 Index shifting, integrated brake/shifter levers, bar-end shifters, and splined cassettes with freehubs are just a few examples. 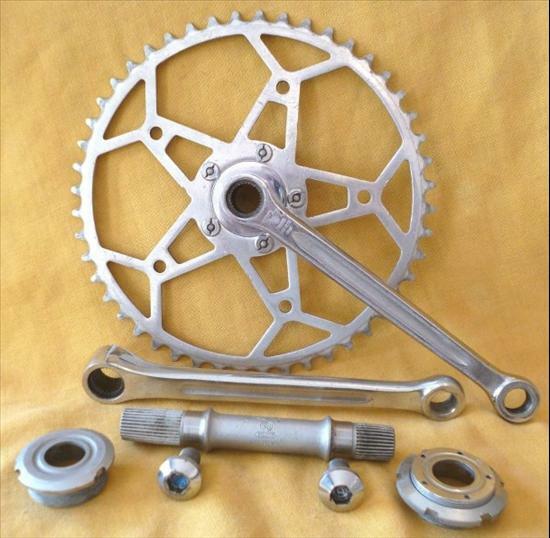 We can add splined cranks and spindles to the list.